Without the miracle of refrigerant, we wouldn’t have air conditioning or refrigerators as we know them today. You could say the invention of refrigerant revolutionized not only a number of industries but also completely changed how we live in our own homes. Refrigerant is a low-pressure gas that is stored in copper coils. Copper is fantastic for heat transfer, which is why it’s used in so many applications. The heat in the air gets absorbed by the copper coils and the refrigerant inside. The now-hot gas becomes a liquid, and is moved outside the device with fans, where it eventually cools down and becomes a gas again. The constant cycle, pushed by fans, moves the cold air into the desired space (fridge, home, car) and the hot air outside. Modern refrigerants like R-134 and R-410A are very safe and are easy on the environment as well, especially compared to older refrigerants that used Chlorofluorocarbons. R-410A doesn’t damage the ozone like previous refrigerants, and in fact is the refrigerant used most commonly for new devices in Europe, Japan, and the United States. Plus, it uses less power than was needed with older refrigerants, lowering the carbon footprint (and the electrical bill) of an air conditioner significantly. How Often Does Refrigerant Need to Be Replaced? In theory, you shouldn’t ever have to replace your refrigerant. It doesn’t go anywhere, as mentioned above—it’s part of a continuous cycle of cooling and heating. However, it’s not a perfect world, and sometimes air conditioners can have refrigerant leaks. If that happens, you’ll need to get both the leak fixed and the refrigerant recharged. 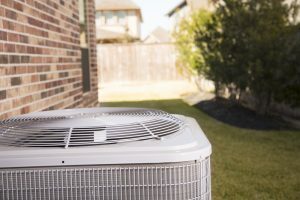 If your AC isn’t pumping out the cool air like it used to, it may be wise to give us a call to check for leaks and restore any lost refrigerant. When things heat up in summer, it’s hard to disagree that refrigerant is the MVP of your HVAC system. It’s easy to take such a little-talked-about invention for granted, but it really is the basis for readily available fresh food, comfortable houses, and the ability for us to live in the most extreme climates. If your AC system is underperforming, consider having a service inspect it for leaks. Not only will it make your air conditioner work better, it’ll help the environment and the ozone layer. Contact Westland Heating/Air Conditioning for air conditioning services in North Olmsted. We can inspect and recharge your refrigerant if necessary.